Beebay presents this stylish hooded quilted jacket for your boy! 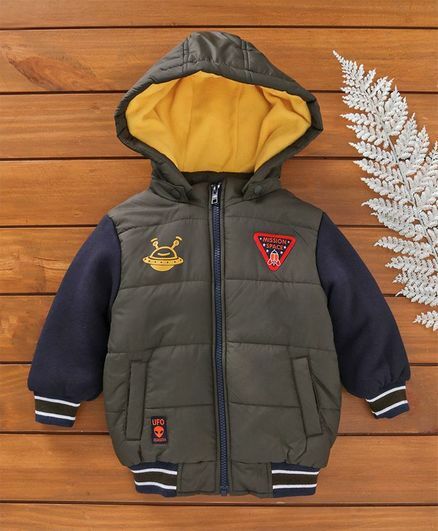 This attractive colour jacket with two front pockets will be kid's favourite in no time and it will keep them warm and cosy during winters. Front zipper closure jacket ensures easy dressing. Styling Tip: Can be matched with black or blue jeans for perfect casual look.